Mount Etna is an active volcano on the island of Sicily in Italy. It is one of the most active volcanoes in the world. At about 3,329 metres (it varies depending on vulcanism) it is the highest volcano in Europe and the highest peak in Italy south of the Alps. The mountain is a spectacle whether viewed up close or from a distance when weather conditions are favourable. It is a UNESCO World Heritage site. It is possible to drive up the mountain but the guided tour I took bussed us to the top and lead us on spectacular walk. 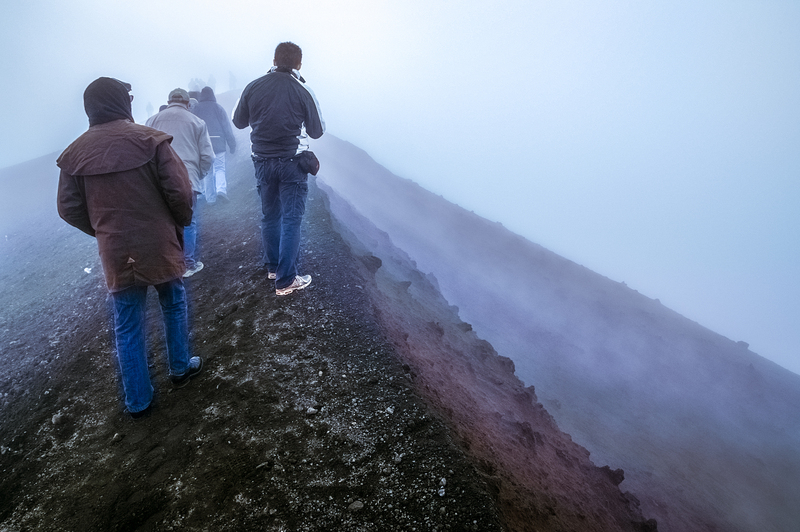 I would recommend a tour as it would be easy to get lost in conditions such as we experienced. If you plan to do your own thing do thorough research locally. Thank you Robert Dettman for creating this photo spot and Edward for improving it with additional photos or content.